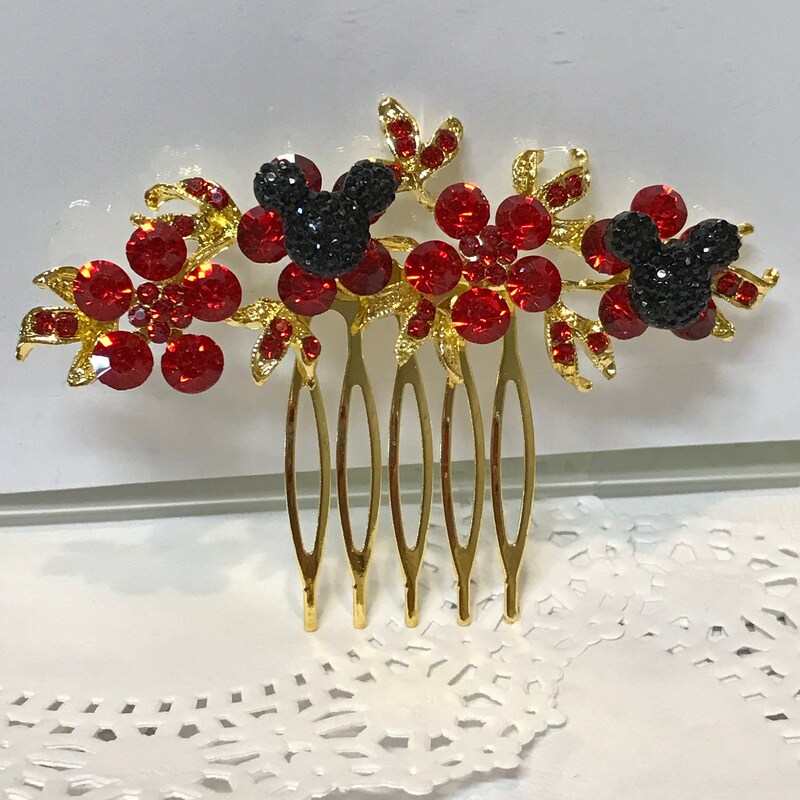 2 Sparkling Red Rhinestone Flowers adorn this comb which is three inches across. 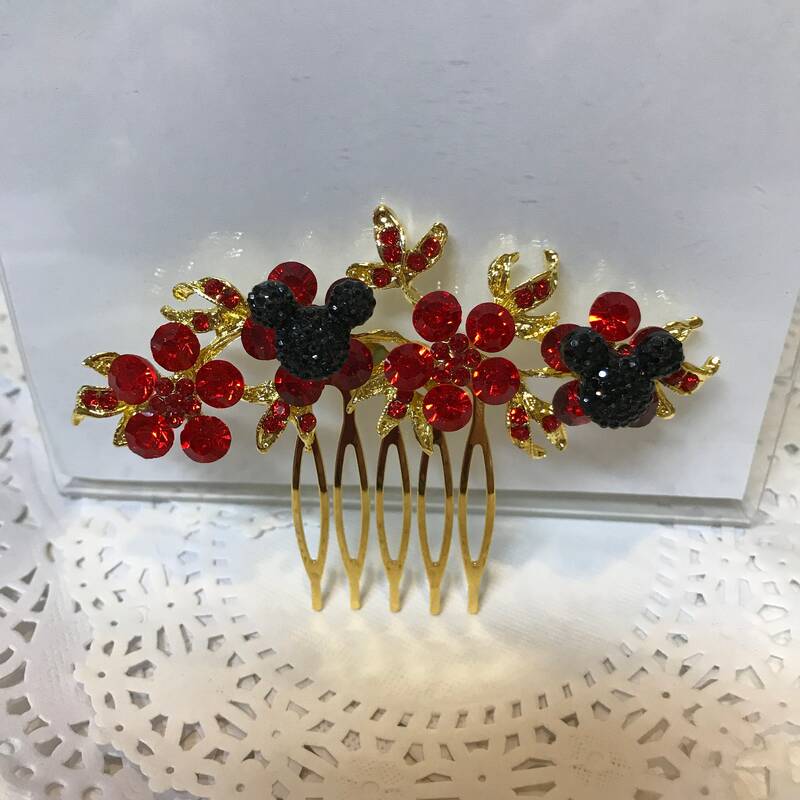 Tiny Red rhinestones in golden leaves spray out from the flowers. 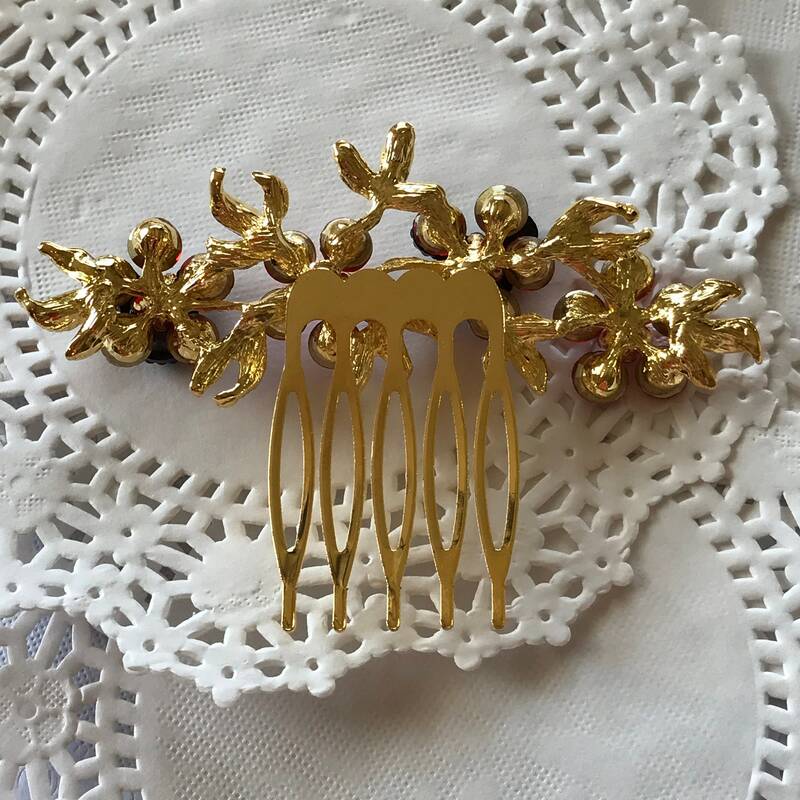 Everything is mounted on a small gold tone comb. The whole piece is three inches wide and two inches high. 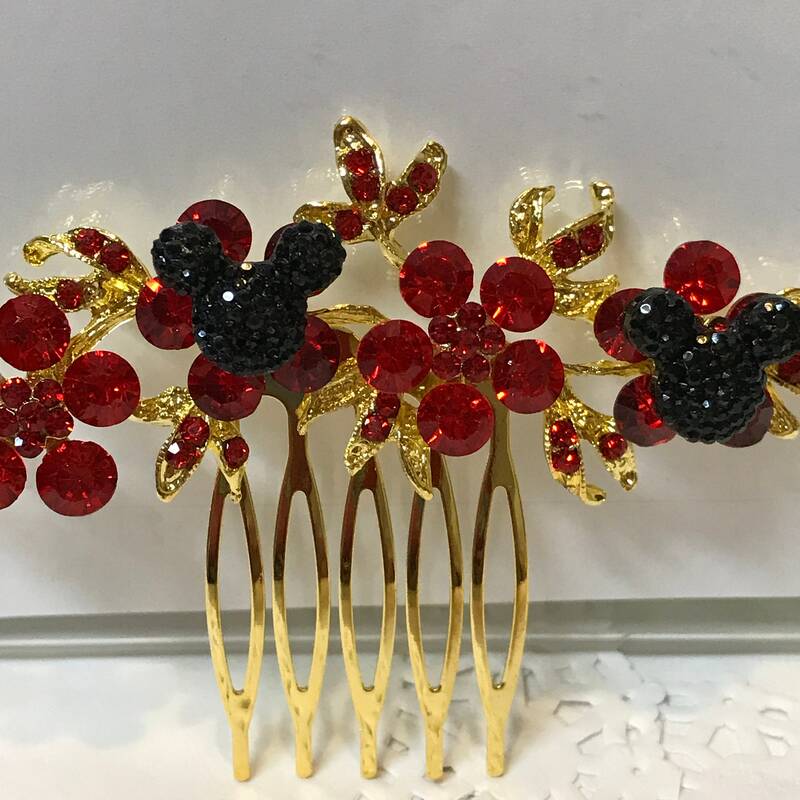 There are 2 black mickey silhouette heads mounted on 2 of the flowers. The comb itself is one and a half inch long by 1 inch wide. 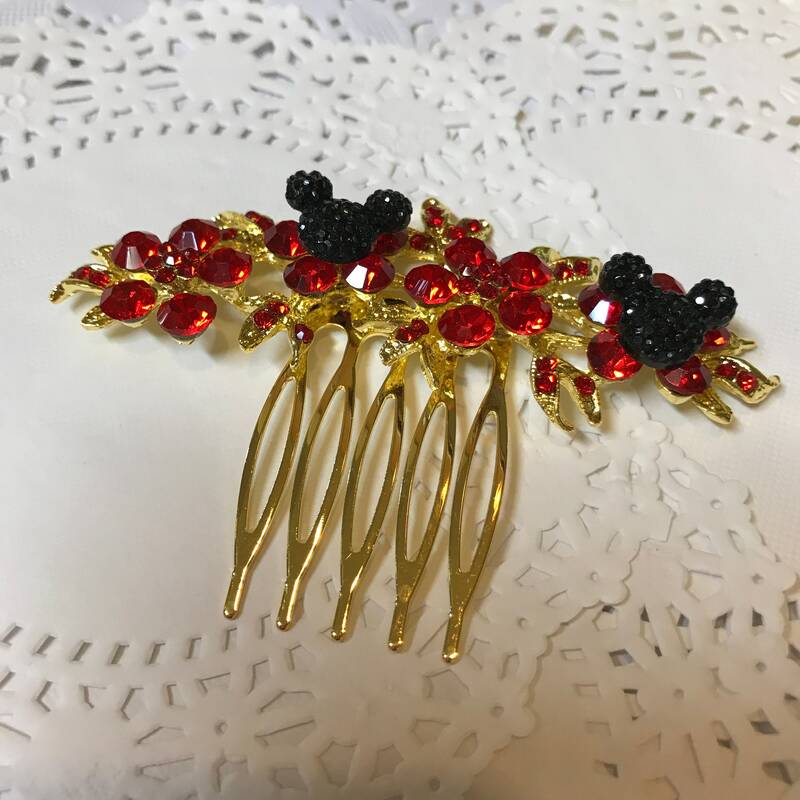 This bridal comb can be worn by a child or adult. 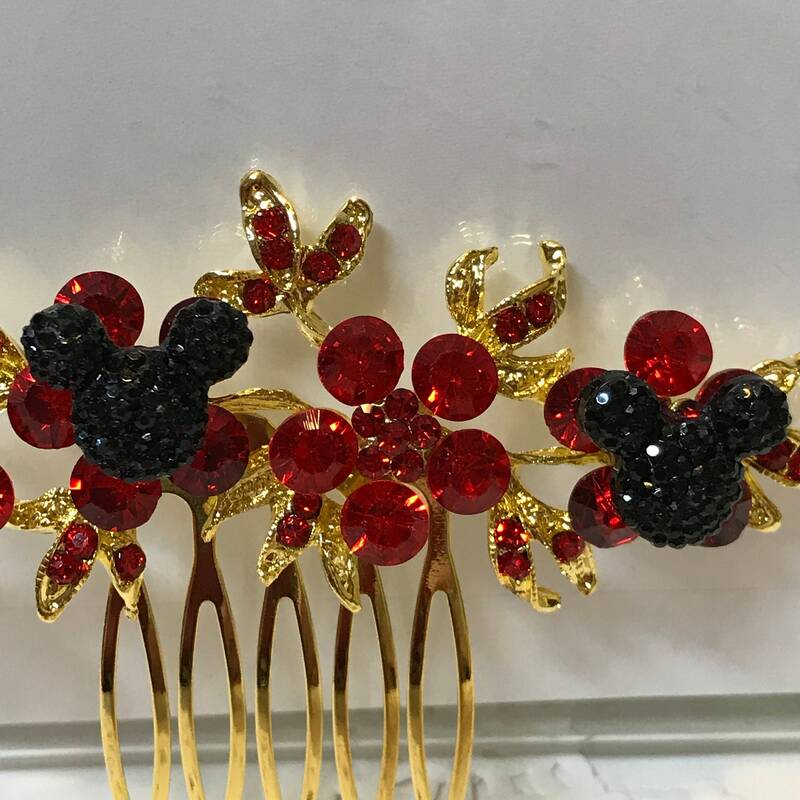 This is a precious wedding comb for your Disney Inspired Wedding. 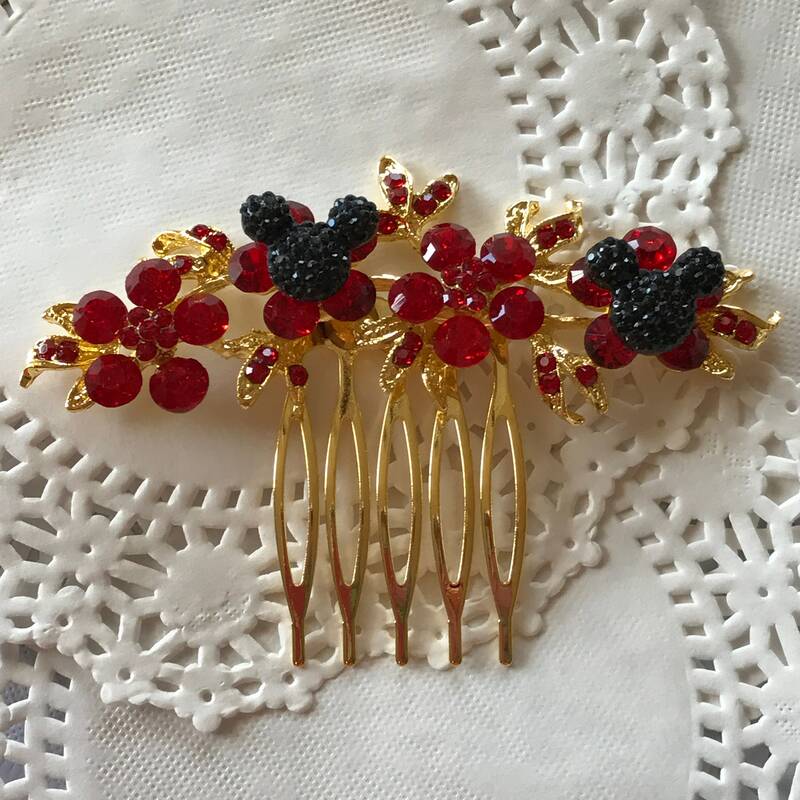 Perfect for the bridesmaids, junior bridesmaid, flower girl, or mother of the bride. 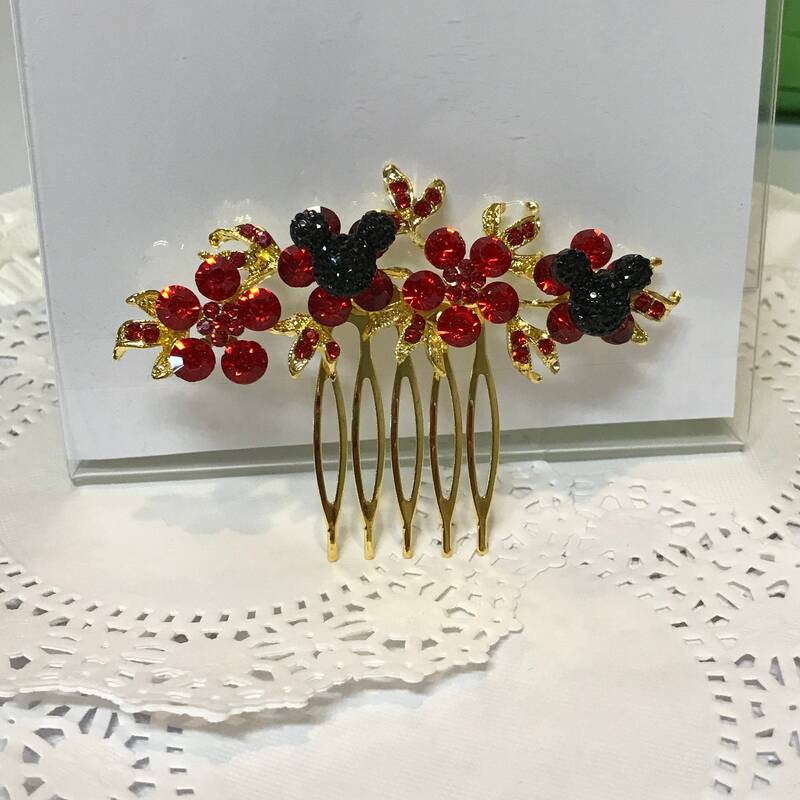 It would be wonderful worn by the bride at her bridal shower or engagement party or Bachelorette party! 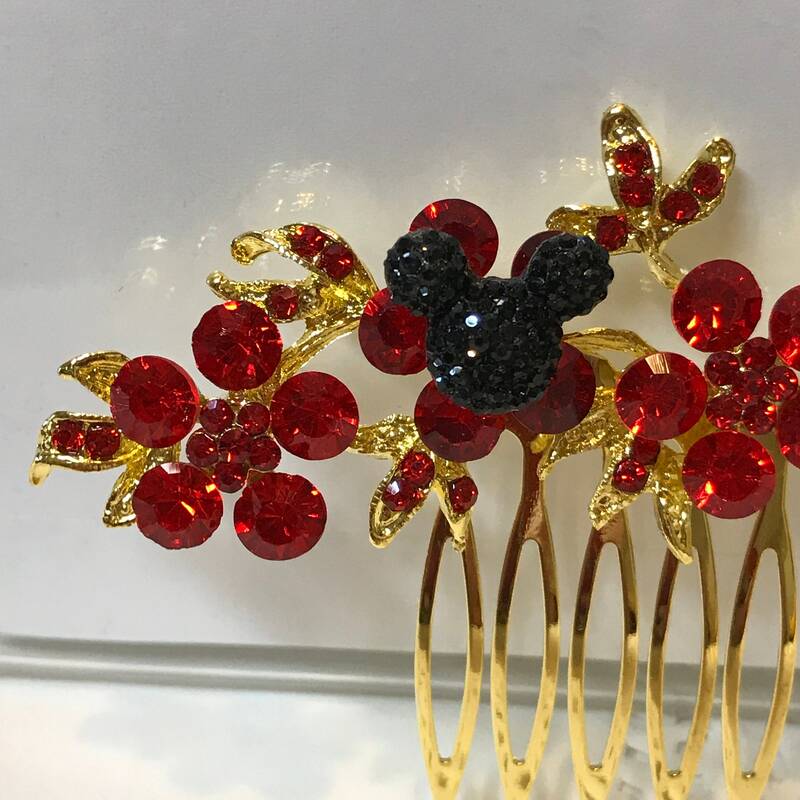 You could wear this on your next Disney Cruise!